There once was an Ozark Indian princess who fell in love with the son of the Spanish governor. Unfortunately, he got married a Spanish girl. Broken hearted, the Ozark princess jumped off the dripping springs near the lake to her death. The next day, the chief paddled out into the middle of the lake, cursed his daughter, and asked the Great Spirit to trap her spirit in the lake as punishment for giving her heart to the treacherous white man. The Great Spirit obliged and her spirit remains in the lake today. Kayak rentals on a windy day. Nowadays, the lake is a great spot to enjoy nature in the middle of suburbia. 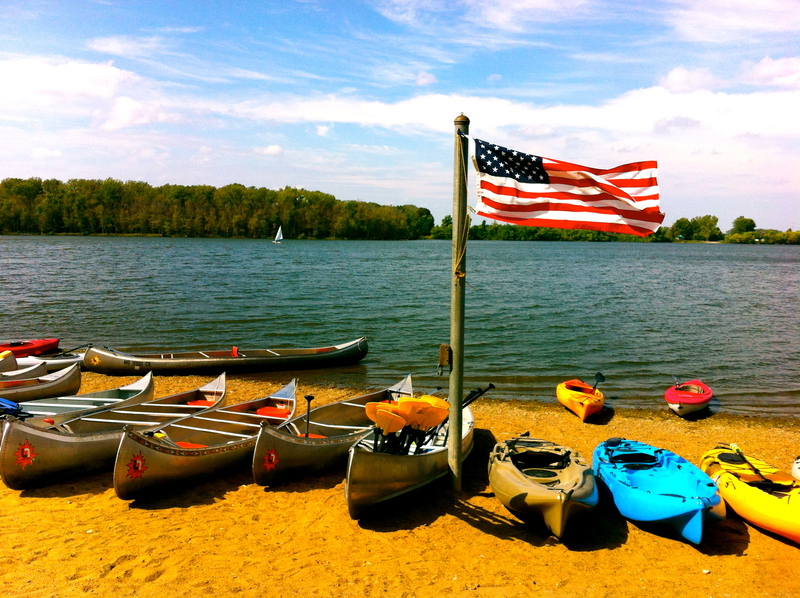 One popular activity on the lake is kayaking. From May until October, there are rentals available during the daylight. On a warm windy Saturday, I decided to kayak around the lake. The lake wasn’t crowded at all- besides myself, I saw 2 sailboats, 1 other kayaker, and one paddleboarder. The water was also really warm, which made the swimming really fun. I kayaked for about an hour before heading back home. 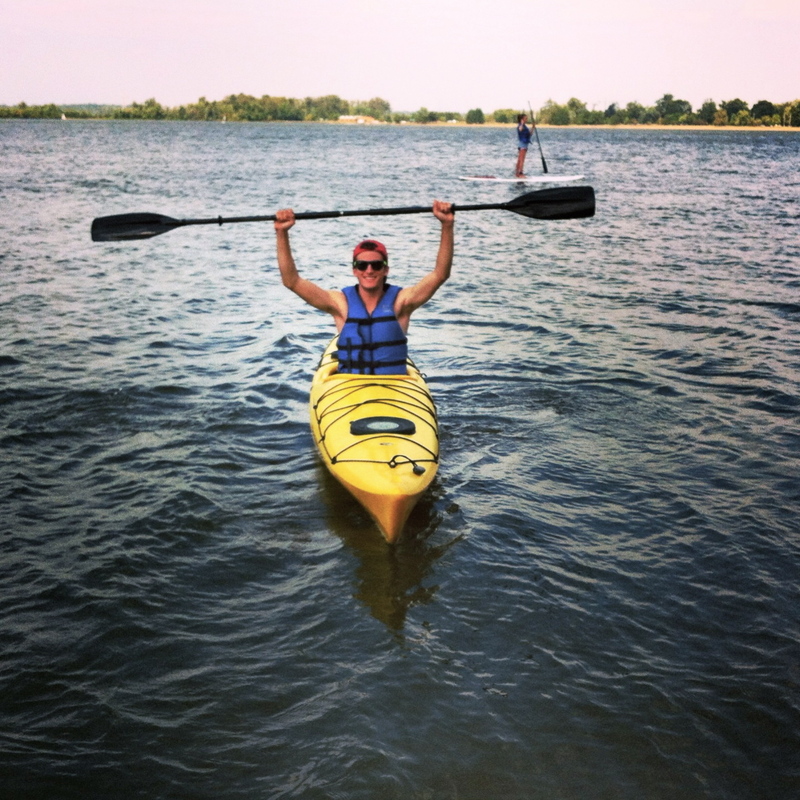 Most people think that you have to drive a really long ways to get into nature, but Creve Coeur Lake is a close alternative to Lake of the Ozarks for those that want to spend just the day on the lake.